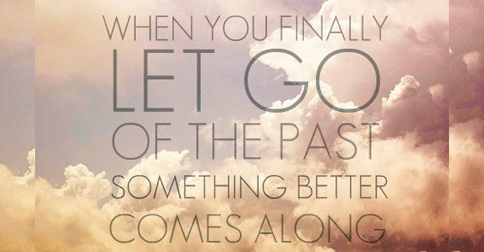 HJ: It’s time to let go of the past and make room for something far better in your life. We often cling to the past because we fear the unknown of what is coming ahead of us — because we do not trust life and we do not fully trust ourselves. But there is an antidote — a solution — to address the source of that lack of trust and furthermore to understand that when we follow our hearts and our inspiration, we are always deeply supported in our journey. Always. We all experience struggles. Some are seemingly insurmountable. Others, like mine, are comparatively small. Regardless of their scale, it’s what we learn from our struggles that counts. Mine began while at university in London. Originally from a small town in the Welsh valleys, the move to the big city was a scary one for me. A mum’s boy at heart, I didn’t deal well with being so far away from home. I’m also an introvert who didn’t embrace the uni lifestyle of drinking to failure, so I didn’t make many friends early on. The workload was tough too, and the course content didn’t inspire me one bit. I had never really considered what I wanted out of life, but I quickly discovered that rocks and complex math weren’t part it. Still, I pushed through, partly because I was stubborn but mainly because I was scared to fail. As I said, my struggles weren’t monumental. My first-world problems pale in comparison to others, but at the time it was hard to see past them. I felt trapped and stressed out. As a coping mechanism for the stress, I turned to my safe haven: sports. Martial arts, football, weight lifting—anything that allowed my brain to shut off temporarily. What started as an escape quickly became unhealthy. Training sometimes three times a day was only adding to the problem, and eventually things broke down. I started developing a mouthful of painful ulcers regularly, making it difficult to talk and eat. They came with bouts of fatigue and digestive issues too, and one particularly nasty flare up led to a hospital visit. A few blood tests and examinations later, the news came back that I likely had Crohn’s disease, an inflammatory condition that can affect any part of the digestive tract (from the mouth, to the other end). Crohn’s can be pretty miserable. Oftentimes, sufferers face a lifetime of medications and surgery. I knew that wasn’t a path I wanted. I decided right then (in a naïve and almost boisterous manner) that Crohn’s or not, I would beat this myself. I took a step back to examine the big picture. I soon found out the hard way that habit changing isn’t the easiest pastime. After many failed attempts, I always came back to the same question: How can we create habits that are lasting rather than ones that phase out after a few weeks? Eventually, through trial and error, I was able to come up with a few answers, and gradually began transforming my life. I started eating a plant-based diet, and altered how I trained, which gave me more energy. I read more, worried less, and meditated regularly, which reduced my stress levels and allowed me to see more clearly the road I wanted to take. Fast forward a few years to the present day, things have vastly improved. Although I still occasionally get health issues, the symptoms are much easier to deal with. Despite repeated blood tests and investigations, I haven’t been diagnosed with Crohn’s disease. Maybe it was an overzealous initial prognosis, or perhaps I dodged a bullet by changing my habits. Either way, I’m happy that I went through the struggle. It taught me a lot, and allowed me to create the life I‘m living today. If you’re feeling a little lost right now, or you’re struggling to implement changes, you may benefit from applying these five important lessons I’ve learned about forming habits. Most of us practice unconditional love toward our close friends and family, regardless of their flaws, but it’s rare that we show the same acceptance toward ourselves. Instead, we beat ourselves up over every mistake we make, and every little defect. Our big belly, our bad eating habits, our laziness, and inability to manifest change. We waste so much energy focusing on these things, energy that could be used productively elsewhere. Perhaps the most important step in habit changing is to first accept yourself for who you are, flaws and all. Those imperfections are what make us human. Instead of talking yourself down, try treating yourself as you would a loved one. Be forgiving, and realize that wherever you are right now, it’s okay. You’re more likely to succeed in making changes if they’re coming from a place of self-respect rather than self-hatred. It’s easy to lose sight of what’s really important to us. We’re constantly comparing ourselves to others. We get a neatly packaged glimpse into their life on Facebook, and form a false idea of perfection that we should live up to. We then attempt to make a load of changes to become more like that person, without considering why. We set goals that are not aligned with our values, resulting in discomfort and dis-ease, and we never commit to them long term because they’re not that important to us. Be you, not a second-rate version of someone else. First, determine your values by asking yourself a few questions. What would you do if money weren’t an issue? Where are you most organized and reliable? What do you surround yourself with? Some people value their health above all else. Others are more concerned with their family, or making lots of money, or a mixture of all the above. Whatever’s most important to you, set goals that align with it. For example, if you want to eat healthily, but your highest value is caring for your family, how can you reframe that goal? Eating healthier may allow you to spend more quality time with your loved ones, or help you do a better job of looking after them. That’s your strong reason “why” that will excite you and inspire you to move forward. 3. Start small and build gradually. Willpower is not an infinite energy source, and when forming habits we should avoid tapping into it as much as possible. I’m a sucker for getting over zealous and trying to make many big changes at once, but rarely does this ever lead to long-term success. Lasting changes are made from many small steps added together, not from a flick of the switch. Rather than fixating on an end goal, plan your next few steps in that general direction, then execute them. If you want to eat healthily, maybe start by changing your breakfast, and nothing else. When you’re fully comfortable with that, perhaps begin to adjust your lunch. Take your time, and don’t be tempted to bite off more than you can chew. Commit to the long haul rather than looking for the quick fix. It’s a more satisfying process, and each small step you take, you build your self-esteem, and your ability to produce further change. I’ve always had the tendency to try to tackle problems on my own. I thought asking for help was a sign of weakness, but the opposite is true. Building community is an important part of forming habits. It was only when I involved others that I really started to see success. Perhaps tell a reliable friend about the next few steps you’re taking with your new habit, and ask them to hold you accountable with weekly progress reports. Maybe even introduce rewards. This can give you that extra push you need to succeed. Many of us grow up fearing failure. The reality is that failure can be a good thing, but we’re not taught how to deal with it properly. For most young people, failure is met with the less than inspiring statement of ”Oh well, better luck next time.” They’re left feeling deflated, with low self-esteem and nothing to act upon. You’ll likely fail several times when changing your habits, just like I did (and still do). First, realize it’s okay. Those road bumps are a vital part of the learning process. Secondly, search for the lesson. Failure teaches us what we can do to improve so we can come back next time as an upgraded version of ourselves. Maybe it means altering your goal to make it a little easier. Make your adjustments, pick yourself up, and get back on the path to fulfilling your passions.